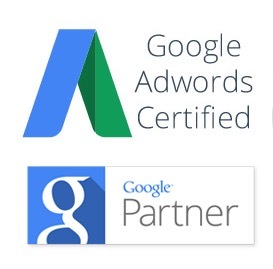 Google recently rolled out a major update to their AdWords pay-per-click service. They will no longer show ads in the right-hand sidebar of the search results page. In addition to eliminating sidebar ads, they have added a fourth spot to the ad listings at the top of the page. This means that when someone is searching for a dentist near them, they may see between one and four paid ads (depending on volume and demand) above the organic search results, with the remainder of the ads at the bottom of the page. So what will you see in the right sidebar now? While Google hasn’t made an official announcement, it appears that the sidebar will be blank, contain some product listing ads, or feature highlighted information in what is known as the Knowledge Graph. “These developments to the Google AdWords service fall in line with many of the changes Google has been making recently in their shift to cater to mobile devices,” explains Patty Ptacek, Smile Marketing’s SEO team leader. This change only affects desktop searches, as there never have been sidebar ads on mobile searches. With just over 50% of Google searches occurring on mobile devices now, Google is clearly focused on shifting their products to be oriented to the mobile environment. How Will this Affect Dental AdWords Campaigns? If you advertise with Google, you will likely notice some changes in your campaigns. Cost-per-click could go up as competition for prime ad real estate increases. It will be harder to rank in one of the top four spots. Ads will need to be improved to get higher quality scores, thus better positioning. With fewer ads being shown overall, you are likely to get even more clicks when your paid ads are ranking in one of the top spots. This is not going to affect searches performed on mobile devices, such as iPhones and tablets, which makes up more than half of all searches. Advertisers will be more motivated to make sure their ads are highly optimized, resulting in better ads overall. How Will this Impact Organic Dental Search Results? The impacts will not only be felt by those who advertise with Google, but those who have a website period. With each organic search now having the possibility of returning four ad listings, organic results are getting pushed down even further. We couldn’t agree more. Making sure your listing stands out by having a clean title and a persuasive description is key to getting a prospective patient to click on it. Serving families in the Atlanta, GA area for over 20 years, Dr. Johnson is committed to providing gentle, affordable dental care. Clean, easy to read, and provides the information necessary to make the searcher want to click. « Dentists Need SEO. Great Website Design is Not Enough.